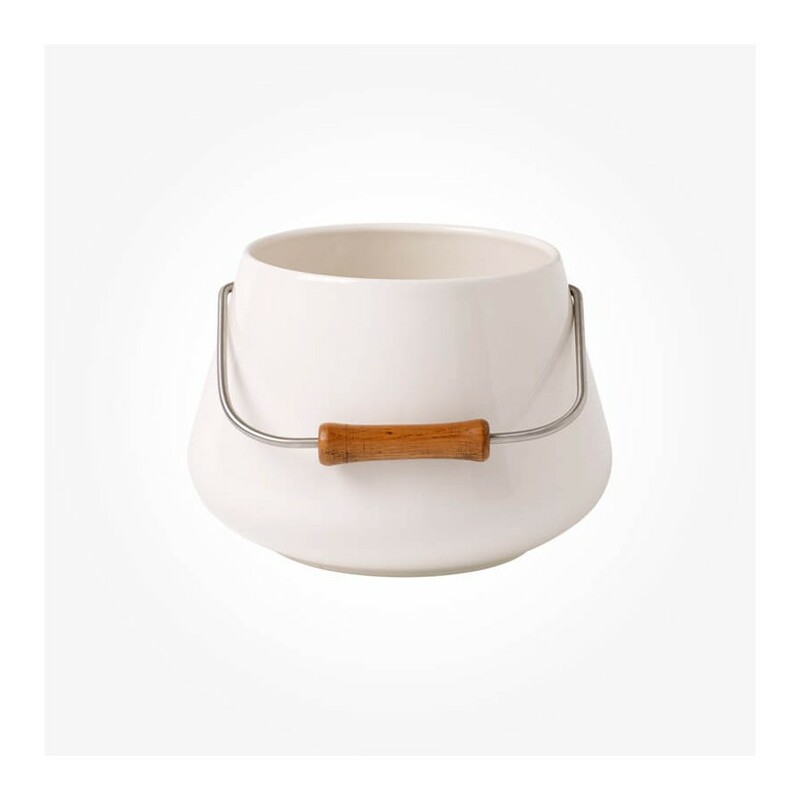 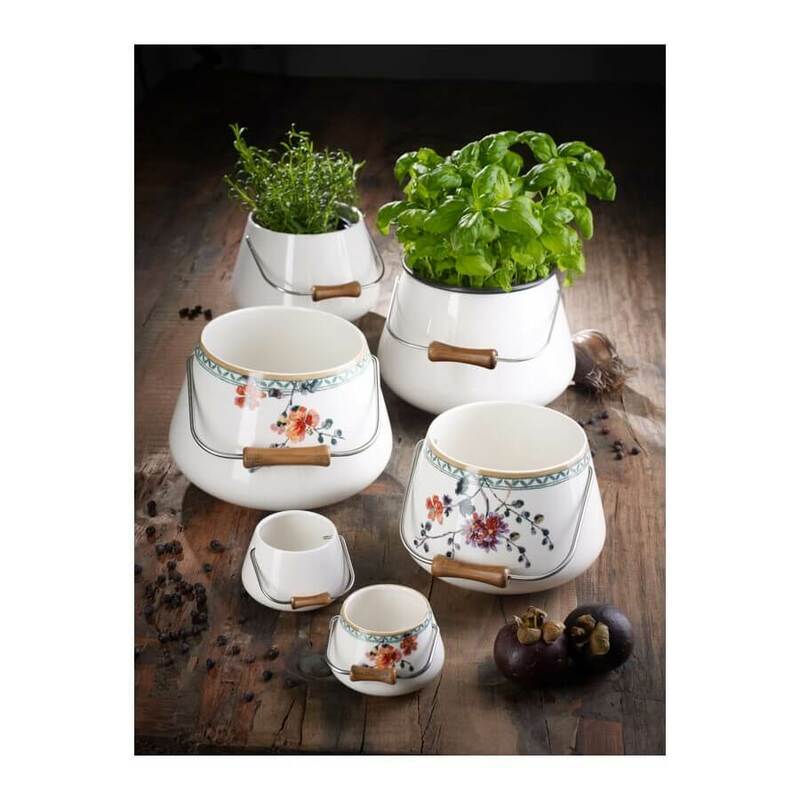 This unique shape with wide and short tall with wooden handle from Villeroy and Boch can be a unique selection for small plantation of flowers or whatever. This Large Vase is more neat and clean as there are no vented holes at the bottom unlike the normal plantation vases. 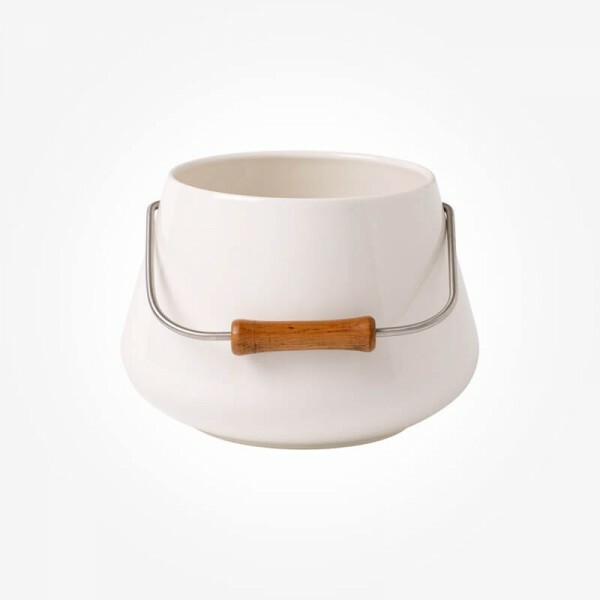 Therefore, it can be placed on the dining table or balcony as well as on the kitchen window and will look great on.